Want to host your own bourbon tasting but not sure how to get started? Or, are you looking for a gift for the bourbon drinker in your life. 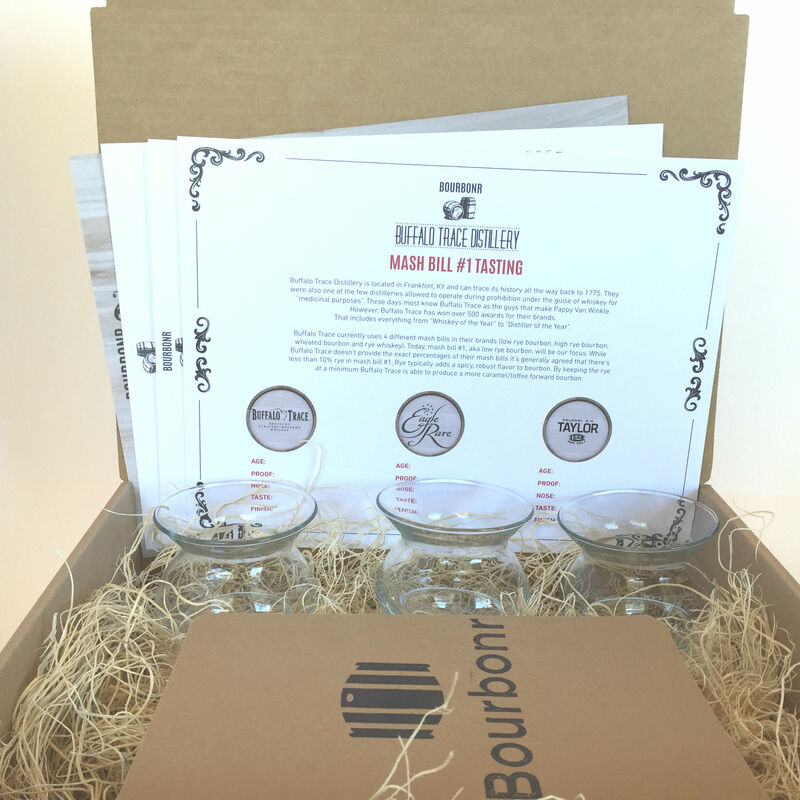 The Bourbonr Tasting Kit is an educational tool that helps facilitate home tastings. Sure, hunting rare bourbons is fun but the community aspect of bourbon is by far my favorite part. Sitting around a table with friends drinking bourbon is always a good time. Each kit will include everything (but the bourbon) you need to have your own bourbon tasting. The kit starts with “What Is Bourbon” and “How Bourbon is Made” and move all the way through the tasting part. The kit takes advantage of three approachable/available bourbons (Buffalo Trace, Eagle Rare 10 and E.H. Taylor Small Batch). The first tasting kit features Buffalo Trace Mash Bill #1. It helps you expand your tasting skills by sipping three bourbons from the Mash Bill #1 side-by-side. Get started learning more about bourbon and developing your tasting skills! – Three NEAT Glasses (Retail value of $37). This is per person. The 3-person kit will include nine glasses. 6-person with 18 glasses, etc. Who won the GTS? Hopefully my sister in law ordered the kit and won me the bottle. Cheers Blake! Keep up the good work. I don’t find a price for the tasting kits…sorry if I missed it.